The vexed political question - should India go with the US-led TPP or China-centric RCEP? 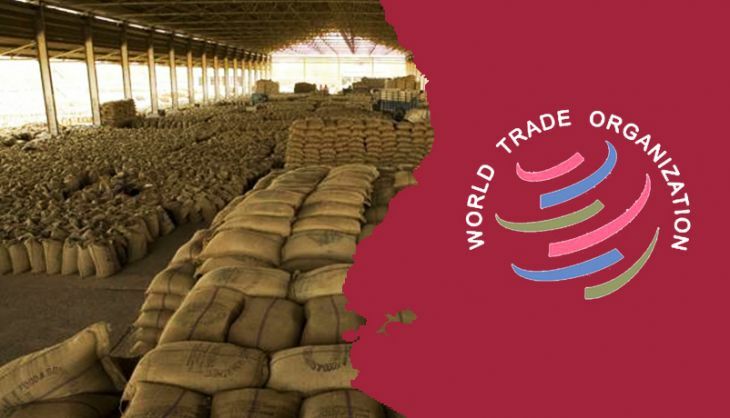 After the usual gap of two years, the 10th WTO Ministerial Conference is to be held in Nairobi from 15-18 December. The previous Ministerial was held in Bali in December 2013. The principal decisions of the 'Bali package' were to make the Trade Faciliation text part of the family of WTO agreements, to continue the 'peace clause' (non-retaliation for violation of the domestic support limit in the 1995 Agreement on Agriculture) and work towards a permanent solution on the issue of public stockholding of agricultural products with a resolution by the 11th Ministerial. While there were other 'housekeeping' decisions on issues like the rules of origin, preferential access to least developed countries etc, it was clear that the main political standoff in Nairobi would be on how the issue of 'public stockholding' would be resolved. A number of important developments in the last two years make the Nairobi meeting important for two reasons. Should the Doha Development Round, which began in 2001, be declared closed, as some commentators have argued? Should the next Ministerial in 2017 herald a new round? What about the fate of the WTO itself, in light of recent developments in three major plurilateral agreements - the Trans-Pacific Partnership (TPP), the Transatlantic Trade and Investment Partnership (TTIP) and the Regional Comprehensive Economic Partnership (RCEP)? One the first issue, of stockholding, there's no agreement in sight. So the Doha round should continue. The second issue is particularly important, as since 2000, over 40 TPP agreements have been signed. Before that, the number was a measly four. Clearly, the Regional Trade Agreement bandwagon has gathered speed in recent years. India, too, will have to formulate its strategy keeping in mind developments both in and out of the WTO. The main issue for India seems to be the continuation of the current system of public procurement of foodgrains. The contention is whether, for example, India's public procurement (since it is a relatively large producer of basic cereals) is trade distorting. In the current depressed scenario in primary goods, it is quite possible that the procurement price for some Indian products might well be holding world demand down. Trade-distorting subsidies in agriculture is a contentious issue, which is clear from the fact that the USA (supported by the agricultural producers) has already raised this issue with India. However, a switch to a targetted income subsidy should make it possible to circumvent same of the main objections. Yet the main concern, really, is the three mega plurilateral agreements and what they mean for the WTO process in general. Of the three, while the last negotiating text under the RCEP has been kept under wraps, the text for the TPP has now been released and we now have some idea of what will be in the TTIP. The EU draft on the investment chapter is now in the public domain and looks somewhat similar to the chapter on investment in the TPP. It is clear that the TPP and the TTIP have one thing in common: the fulcrum and the driving factor for both is the USA, while the large countries left out are China and Russia. India's stand on the TPP is not too clear. On the other hand, the RCEP revolves around China, and India is an active member. Some studies (a really ambitious one is 'TPP and Asia-Pacific Integration: A Quantitative Assessment' by PA Petri, MG Plummer and Fan Zhai, Peterson Institute, 2012) argue that the TPP and the TTIP could lead eventually to a broader eventual agreement of the Asia-Pacific countries called the FTAAP), which would effectively cover the globe and make the WTO negotiating route irrelevant. So, for India, there is a clearly politically important issue - of which camp to belong to. Given ASEAN's own attempts at growing into an EU-type political and economic power block, India is really faced with a 'Hobson's choice' - to take it or leave it. India's main concern with the TPP is that it goes far beyond trade into internal regulatory issues, like labour standards and intellectual property rights concerns, which may be difficult to sell in the domestic political arena. The same concerns exist in the TPP's US-driven protocols on investor-state dispute resolution. However, it does have a strong focus on cross-border trade in services, and has separate chapters on telecommunications and e-commerce. In contrast, while the RCEP text is not known, a careful perusal of the Asia-based PTAs indicates that the focus has been on manufacturing (the China factor) and services are largely ignored. It is not surprising, then, that India has found little gain from the FTAs it has contracted with ASEAN, Korea and Japan: none seem very keen on expanding the agreements to cover services. Yet, the RCEP has moved on traditional WTO lines with protocols on safeguards, special and differential treatment etc, which are missing in the TPP text. A lot depends on how the RCEP evolves, given that some of the members of the TPP belong to both groupings. Economists may argue that the TPP holds larger economic benefits for India. If only international politics was so simple! I, for one, am not waiting for the Nairobi meeting with bated breath. But, for once, let not the others fire guns from India's shoulders. Bigg Boss Nau: Who is Manasvi Mamgai, the new wild card entry in the show?